As a consumer, especially a younger consumer, it’s probably hard to remember the days before iTunes, Spotify, Pandora, Google Play Music, or all those other freemium services out there were available. Remember using Napster, before it was legal? 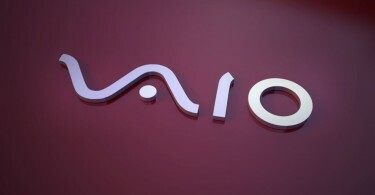 While most consumers just take it for granted that the service is there and it works, not many people actually know how the music and tech industry officially ended up mashing things together. It’s a little known story about a surprisingly tech-first American rock band, Aerosmith. The stage was set in 1994 as it was a huge year for Aerosmith. Riding high off of one of their top selling albums “Get a Grip”, the band’s destiny was to merge tech and music this year and start the movement that we so much enjoy today. Even back before the days of the Oculus Rift, Aerosmith has always been a forward thinking tech band trying to push the boundaries of tech and music. 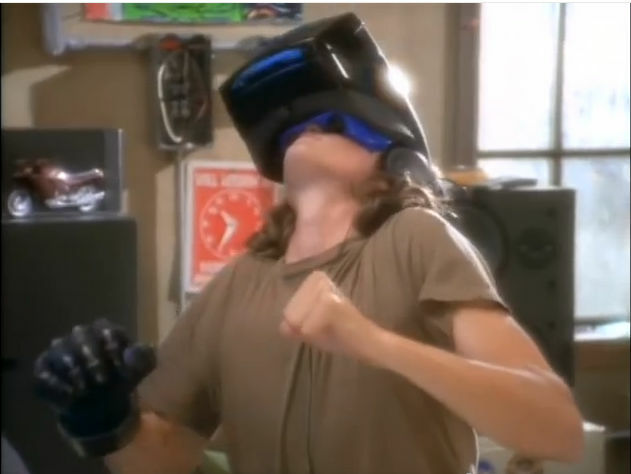 Evidence can be seen of this just by looking at the futuristic virtual reality scenes staring Alicia Silverstone in the “Amazing” music video. This is the same year that Aerosmith released the Revolution X video game that was literally rocking out arcades. 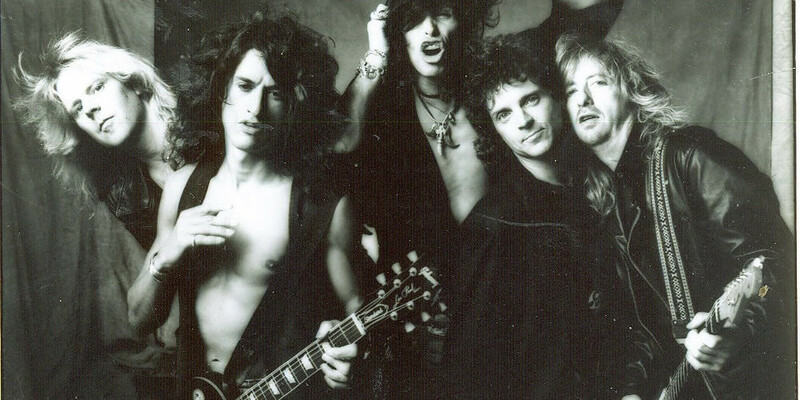 Aerosmith is no stranger to having industry changing moments. “Walk this Way” broke the barriers of race and styles of music in the 1980’s singing the rap rock anthem with RUN D.M.C. About a decade later on June 28, 1994 came the deal that would eventually change and shape music forever. The first known commercially available song to download would happen in a deal struck between CompuServe and Aerosmith. The song? “Head First”, an outtake from the recently released “Get a Grip” album. According to a press release in 1994, Aerosmith’s lead singer, Steven Tyler, stated that “if our fans are out there driving down that information superhighway, then we want to be playing at the truck stop. This is the future — so let’s get it going.” That’s a pretty tech-forward looking statement and I don’t think that the band could fully grasp what they were getting themselves into. Delivery in this time frame was not an easy feat to accomplish. Nobody could stream music or sync it with a click like people can today and get it across all of their devices. In fact, in 1994, the 56K modem wasn’t even commercially available yet (1997 in case you are wondering) so this means downloading a song was capped at a theoretical max of 14,400 bits per second using the fastest speed that CompuServe had available at the moment. AOL was the top ISP back in 1994, but for those who were lucky enough to be a CompuServe customer and had met the minimal requirements of a “large hard drive” and “stereo speakers” were able to download the 4.3 megabyte file. In 1994, a 4.3 megabyte file was considered large, especially when most hard drives topped out at 540 megabytes. Most CompuServe customers had a connection rate of between 300 and 2,400 bits per second which disqualified them from downloading the song as restrictions were placed on the minimal download speed to 9,600 bits per second. Even with the “higher speed” requirements put in place, at 9,600 bits per second, the download was still taking at minimal ninety minutes for the three minute and fourteen second song. Due to technical limitations in the early days of computers, users could not realistically share the music once it was downloaded. Piracy was not a real concern for the band nor the ISP. Technically it could be shared if using the proper compression products and would want to spend at minimal three floppy discs on the one outtake song from Aerosmith. Despite the hassle, both Aerosmith and CompuServe did their parts to make sure that music, not money did the talking. Aerosmith waived their royalties and CompuServe waived its connect time charges ($9.60 an hour) for users who downloaded the song. This is the earliest known example of music and tech merging in a way that has shaped and built the current marketplace that exists today. The band did do some more tech related stuff as time went on, but by far nothing tops being the first commercially digital download available. There are many things that Aerosmith is associated with, but being pioneers in the tech industry is not one of them. While this is only a little footnote in their resume, it’s one that should be quite larger.